"...I highly recommend this experience with Judi Hancox. She is a healer's healer and is up to nothing less than transformation." Jan Phillips, photographer, poet, songwriter, author- The Art of Original Thinking-The Making of a Thought Leader; Divining the Body, Marry Your Muse, God is at Eye Level, Making Peace, A Waist is a Terrible Thing to Mind. 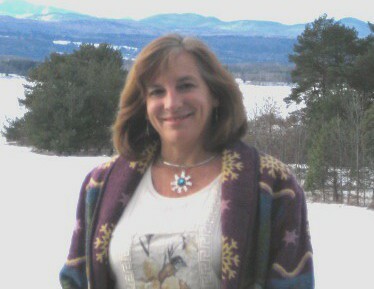 Judi is a genuine, kind, caring and compassionate professional. I have known her for 10 years and she has helped me through some very difficult challenges. She is a strong, wise, gentle and loving healer. She is the real deal! 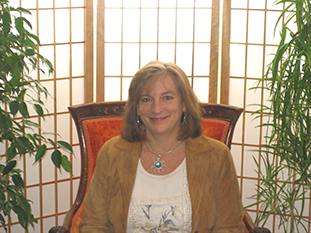 Cathy C.
My experience with Dr. Hancox was wonderful. It helped me on many levels to feel better about myself and to find the peace within so that I could move past some negative influences darkening my life at the time. I have nothing but the utmost respect for her and know that anyone who visits her practice will not only benefit by it...but use the skills she teaches to continue a more productive and fulfilling life. Judi is a loving and powerful guide in healing all sorts of unrest and trauma. She puts her heart and soul into her work and helps us tap into our own highest potential (often buried under the old pain.) She's a devoted partner in healing and uses traditional and alternative tools so we can find the peace, purpose and joy that awaits within. Judi is a wonderful, wise healer and a teacher. When I was in high school, I had been therapist hopping since I was 6 years old until I met Judi. Only she was able to help me overcome past traumas. Even after we parted, and I slipped between a rock and a hard place, I knew to come back to her. I have developed emotionally and spiritually in a way I used to believe I never could, and I have discovered much more about myself thanks to her! Her methods are much more empathic, personalized, and understanding to her clients than "typical" ways by getting to the root of any trauma. Learning that the body holds certain feelings that can hinder healing and how to release anything stuck there has accelerated my progress. She includes that we are much more than our emotions and feelings, and that we can overcome past hindrances and traumas to shine brighter than before. Thank you so much! "Judith Hancox, one of the most gifted therapists I have been to. She has helped me win a major Breakthrough in my recovery with Shiome Therapy. She is scientifically grounded, has a balanced holistic approach to PTSD, zeroing in on the damaging effects of trauma to the brain psyche, and spirit." I trust her with my life. Judith's brand of therapy is extremely effective. I suffered from anxiety for many years as a result of PTSD. After participating in traditional "talk therapy" for two years with no real results, a friend suggested I contact Judith. After a couple sessions, things began to shift almost immediately. My anxiety level decreased dramatically and I felt more balanced. My work with Judi has helped me get to the core of my issues within a very short time. I have been able to quickly gain insight on an intellectual, emotional, and spiritual level and then work on releasing negative beliefs and cognitions about me and my place in the world. Judi realizes that trauma and the resulting beliefs from it are stored in the body and that therapy must address the mind-body connection to be effective. Using EMDR, Energy Psychology, and Essential Oils in addition to more traditional psychodynamic/cognitive behavioral techniques, she addresses the problem on many levels. In addition, in every session there is a spiritual component to our work, which has been so valuable to me. I’ve often thought about how fortunate I was to have found her. I have gone from a shy, self-conscious teenager to a mature young woman who is able to live in her truth. I couldn’t have done it without Judi’s help.